HTML5 demo lets you take Microsoft's Metro UI for a spin. Sick of your iPhone or Android handset? Want to try out Windows Phone Mango? 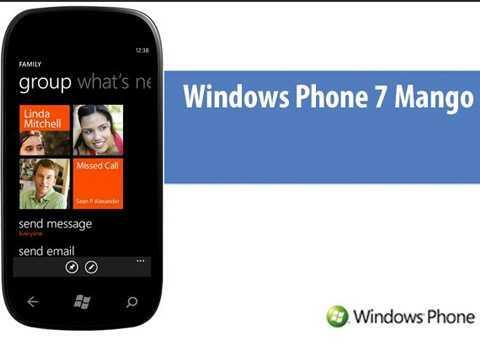 Microsoft is letting Android and iPhone users try Windows Phone 7.5 Mango with an HTML5 demo that runs in your smartphone's browser. The interactive tour isn't fully functional, but it provides a good sense of Mango's look and feel without having to run down to your local electronics store. I tried it out on my Droid 2 and liked how Microsoft's Metro UI makes efficient use of touchscreen real estate in a visually appealing way. The tour encourages you to tap and slide through Mango's main home-screen functions, like calendar, photos, Outlook and "Local Scout," Microsoft's answer to Google places. My only complaint is that there's no way to try out the demo in landscape mode--in fact, the whole thing shuts down whenever the phone is turned sideways. Regardless, this little taste of Mango is so slick and snappy I had to keep reminding myself it was only an HTML5 demo, but if Microsoft's goal is to further pique my interest in the new Windows Phone OS, I'd say mission accomplished. Check it out for yourself at http://aka.ms/wpdemo. Email Eric at EMackPCW at Gmail, follow him on Twitter, and at ericmack.org. Follow PC World on Twitter, too.